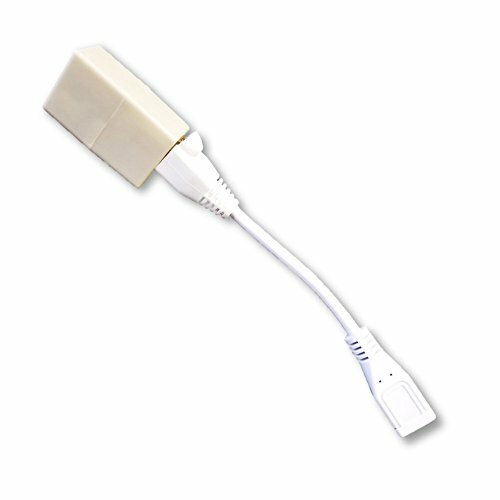 The adapter cable will convert 2nd Generation Zmodo or Funlux sPoE cameras (that have a male MicroUSB connection) to an RJ45 connection (1st generation). This will work on any 2nd Generation sPoE camera systems to use with 1st Generation sPoE cable. Please contact us before purchase if you have any questions regarding the compatibility of cable. The adapter cable will convert 2nd Generation Zmodo or Funlux sPoE cameras (that have a male MicroUSB connection) to an RJ45 connection (1st generation). This will work on any 2nd Generation sPoE camera systems to use with 1st Generation sPoE RJ45 cable. Micro USB male to RJ45. If you have any questions about this product by Zmodo/Funlux, contact us by completing and submitting the form below. If you are looking for a specif part number, please include it with your message.